Books by Mrs. C. - 6th Grade "Geography With Mrs. C."
Above a recent trip giving a different view of the city.Here is a picture below of Tallinn seen at one of its highest points and looking out over the old city. This city is the focus of my next book in the Dear Diana series of books on personal travel. 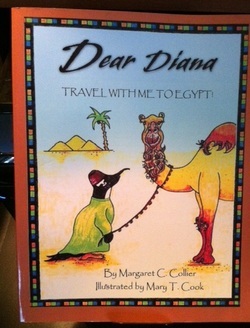 "Dear Diana: Travel with me to Egypt" is the result of a trip taken to Egypt in June of 2010. 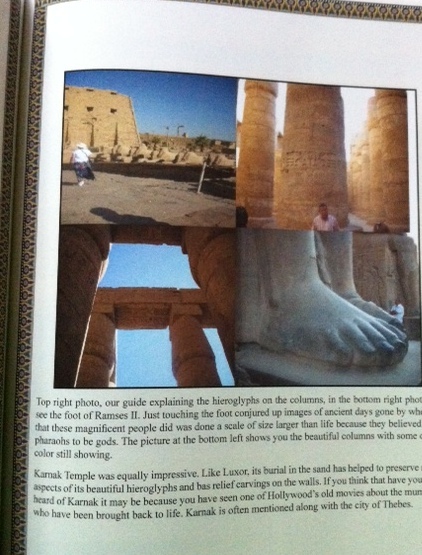 A page from "Dear Diana:Travel with me to Egypt"
Here is the cover of my newest book about my travels in Costa Rica. 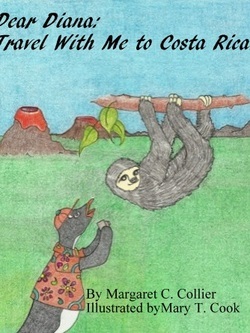 Costa Rica is still a virtual paradise in many ways. The hardworking citizens value their environment and spend time and money on the preservation of the land, the animals and a way of life that they value. 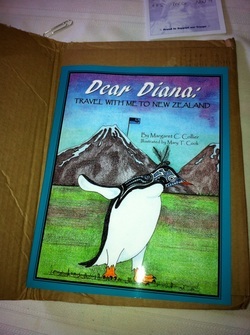 My newest book is about New Zealand. This nation composed of two smnall islands has a population of about four million people but sixty million sheep. Can you guess what product they export to the world? You would be correct if you said wool!! New Zealand is also home to Peter Jackson who produced the " Lord of the Rings" trilogy and more recently " The Hobbit." New Zealand is very unique in many ways. It is a land of glaciers, mountains and lakes as well as unique wildlife and in particular, birds. It is situated on an earthquake zone where two tectonic plates meet.